I'm glad it wasn't just me. On last night's season finale of "The Biggest Loser: Couples," Allison Sweeney confirmed it had, in fact, been the longest season yet. Boy did it feel that way. With 22 contestants, 20-odd weeks and four trainers, I almost gave up on my favorite reality TV show early on. I had a hard time remembering contestant's names, much less whether they were on the "Ridge" team or the "Campus" team. Or black and red team. Or Jillian/Bob/Cara/Brett's team. The process was generally exhausting for me, a dedicated viewer (oh, and for the contestants that were losing insane amounts of weight), I can only guess what casual viewers thought this season. So much of the season felt anticlimactic, including last night's finale. First, Deni won the at-home prize of $100,000. Deni. Not Rulon, the mountain of a man who won an Olympic gold-medal years ago. Not Arthur, who was the largest "Biggest Loser" contestant to date. 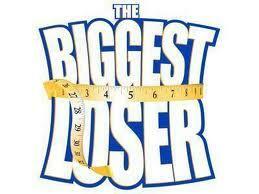 Not Jay, who dominated everyone in weight loss, only to come up short about 20 pounds of his goal at the finale. Deni. A smallish woman who got voted out early in the season before she made any real impression. Her transformation was great and her win a total coup on a season of very big men. However, it didn't make for great TV. Neither did the final weigh-in for Olivia, Hannah and Irene, the final three. Irene beat out Jay for the spot, making it a finale of girl-power—and an obnoxious pink dress, Irene. But after the focus on Hannah and Olivia in the past few weeks, it only made sense that the winner came down to the two sisters who both looked super tiny and just gorgeous in form-fitting mini dresses. Does she know a lot about fitness? Who knows. However, we can be sure there will be a lot of boxing and tennis next season.